Warning: you'll need to get over any "creepy Victorian doll" willies you might have in order to really understand that this is a most incredible machine! 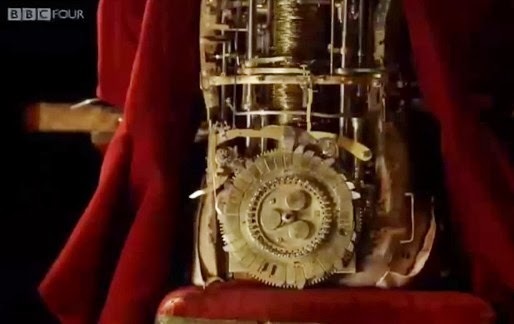 You know that whole steampunk movement? Do you ever wonder, beyond the incredible fashion, what it is about that time that makes people so excited? Well, this marvel of design and engineering might help you understand why some of us are completely in awe of the machines that came from way before the industrial age. Built by Pierre Jaquet-Droz, a Swiss clockmaker, this 240 year old machine is capable of writing using a quill and paper. Inside are 6,000 parts (!!!) that fit compactly inside the doll's body, including a set of letters on a wheel that could be inserted in any order to produce the message written by the machine. Essentially, it was programmable. If you want to check out more automatons, check out the full BBC Four Documentary: Mechanical Marvels: Clockwork Dreams.